Growing up in Western Australia, Fremantle has always been one of my favourite spots and it’s still pretty sweet to see even more art and culture injected into the area. Most recently, we’ve had a spotlight on the port city thanks to the Converse Australia Sneakers Clash project, which enlisted the talents of artists Sheryo, The Yok and Alex Le Hours for a communal mural. 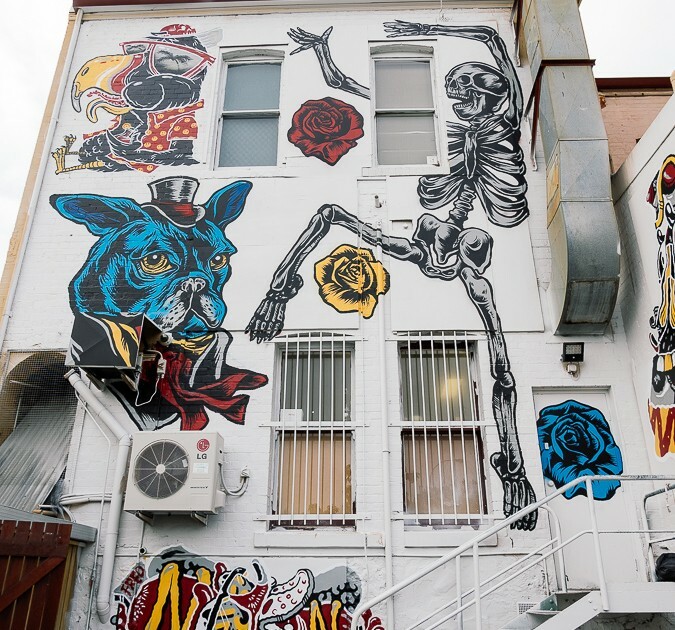 After drawing inspiration from fan submissions to #sneakersclashfreo via Instagram, the three artists took to the disused building exterior and laced it with an assortment of animals (including a dapper AF puppy) and other nautical elements. Freo already has a pretty interesting aesthetic, in my opinion, but a wall of this magnitude and quality isn’t gonna hurt either. Check out the amazing results in our gallery above and all our West Coast fam can head down and take a look IRL at 1-5 South Terrace, Fremantle. The Sneakers Clash project has been an international effort in line with the launch of the All Star Chuck 70 collection, which you can get a closer look at here.